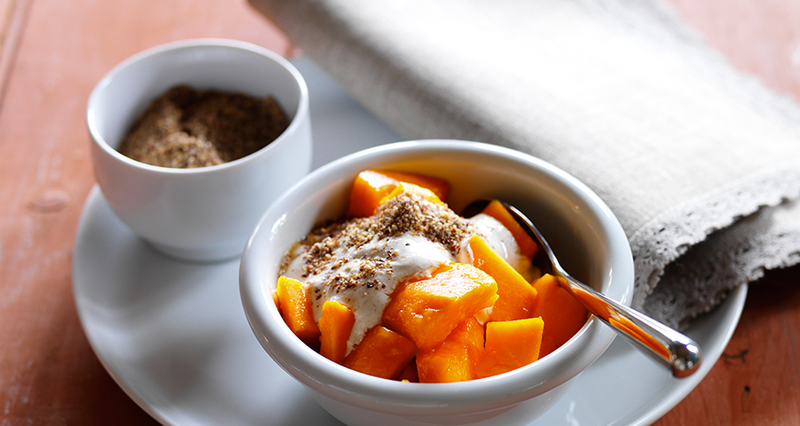 Peel and deseed papaya. Cut into chunks. Divide evenly between 4 bowls. Stir cinnamon through yoghurt until well combined. Dollop yoghurt on papaw and drizzle with honey. Serve sprinkled with LSA mixture.